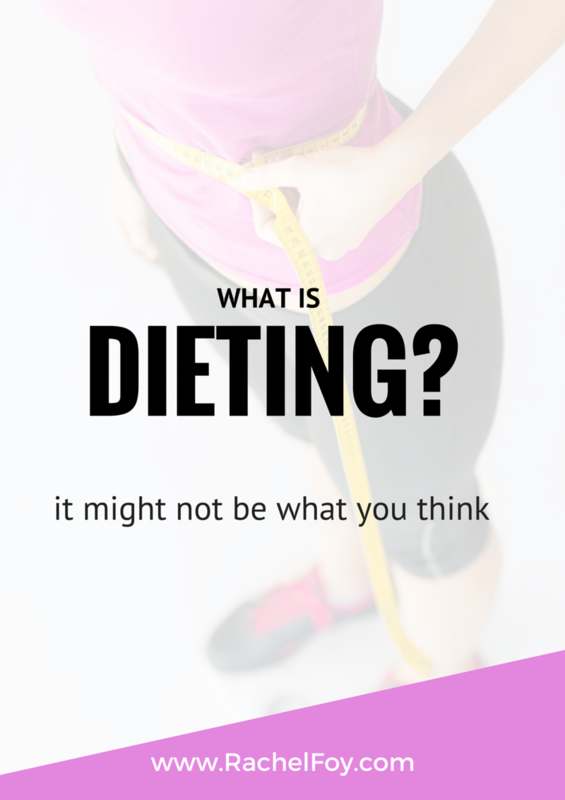 All too often I speak to someone who tells me ‘I don’t diet but I still have an issue with food…’, so what do YOU think DIETING really is? If you’ve been following me for a while you’ll know how passionate I am at helping women realise that dieting is the NUMBER ONE REASON why they often have screwed up relationships with food. So is it possible to not be dieting and yet still struggle with binging and emotional eating? Well diets can be conventional such as Weight Watchers, Atkins, Slimming World, South Beach or they can be a way of eating such as Paleo or 5:2 but did you know that diets can also be emotional? It’s very possible that you aren’t actively sticking to a ‘diet’ but if you have emotional attachment to food in terms of what you eat and don’t eat, you are still very much on a diet. Let me give you an example. You find yourself in a coffee shop with a friend and you order the skinny latte as it’s got the least amount of calories. You replace the fries with your sandwich and have salad instead (and naturally hold off the dressing) as it’s the low fat option. Or you pass on desert at your favouring restaurant as you are ‘trying to be good’ even though the hot chocolate fudge cake looks divine especially with the vanilla ice-cream on the side!!! Well once you can appreciate that dieting is something which actually causes your messed up relationship with food, you are already heading in the right direction. One of the fundamental focus points on healing your relationship with food is to break diet mentality and stop dieting, I hope this might explain why you sometimes wonder what the hell is wrong with you when you are stood in your kitchen inhaling the kids chocolate biscuits and hoping no-one noticed.